Today (May 23) is the one hundredth anniversary of the Italian entry into the First World. To commemorate it we are publishing two documents of the internationalist opposition to that war in Italy written by Amadeo Bordiga. It is introduced by a brief essay on the events of 1915 which cover not only the equivocation of Italian imperialism but other commemorative myths such as those surrounding the Gallipoli campaign (which took place a month earlier). The official World War One centenary commemorations continue to dribble along. At the back end of last year we were treated to the gradual filling up of the Tower of London’s moat in a sea of precisely 888,246 ceramic red poppies. Each one, the official blurb informs us, “represented a British military fatality during the war”. It’s not clear where that very exact figure comes from. Very clearly however, the agenda is a nationalist one, conjuring up the ‘good old days’ of the British Empire. The official EU line that the centenary is about celebrating the integration of today’s European states which means that an inter-European war can never happen again is lost on the British ruling class. In an outrageous play on the myth of empire loyalty, the Department of Culture, Media and Sport’s Guide to Engaging Local Communities, which supplies a ready made agenda for anyone involved in organising commemorations, asserts that: “The First World War saw servicemen from India and the West Indies to Australia and Canada fighting together for the nation.” That’s not quite the spin the Australian and New Zealand ruling class put on the next event in the commemorative calendar: the anniversary of 70,000 or more Allied troops landing on Turkey’s Gallipoli Peninsula on 25th April 1915. Those troops included French, Indian, Irish, Canadian and the newly-formed Australian and New Zealand Army Corps [ANZAC] which has given its name to Anzac Day in Australia and New Zealand. This is now the prime official occasion for reinforcing nationalism under the banner of honouring those who have died for their country, as opposed to the British Empire. Just as in the UK, nationalism has strengthened as the working class has lost ground to capital. In the late 1960s, when opposition to the Vietnam War, and Australian participation in it, was at its height Anzac Day had almost died its own death. However, in recent years the official rituals have become more and more elaborate. This year record numbers attended the dawn ceremonies in Australia and around ten thousand Antipodeans travelled to the jamboree at Gallipoli itself. Whilst the British sent Prince Charles and son Harry to represent the British Commonwealth (nearest thing to the old Empire) this didn’t get in the way of the official script that Gallipoli marked the ‘coming of age’ of Australia and New Zealand as independent nations. In truth, despite the different slants, all these state-sponsored commemorations are designed to reinforce nationalism by playing on the “all in it together” theme. Yes, they tell us, it is unfortunate that millions of soldiers were blown to bits or seriously injured in this industrial-scale warfare between the Great Powers for control over territory; and we have to admit that the top brass sometimes made mistakes; we can even accept that some of the men who refused to fight were not simply cowards ­– but we’ve moved on. Let’s leave the rights and wrongs of this for historians to debate. Beyond it all, the overriding message is that the class society we live in is a ‘nation’ which, like a family, inevitably has its domestic tiffs, but who nevertheless share the same history. In this scenario ‘stuff happens’, including the first global war in history which ‘got us to where we are today’ and other banalities such as the blurb quoted above which gushingly tells us, “We want people to find out how the First World War shaped our society and continues to touch our lives at a personal level, in our local communities and as a nation.” It is within this seemingly commonplace framework that thousands of local world war one projects are being awarded government grants. In every other respect austerity is the order of the day, but when it comes to state handouts for war commemorations money is no object. For the capitalist class in the UK this is money well spent. Working class loyalty to the state is being reinforced just as the global economic crisis is undermining the strength of even the most powerful states. Meanwhile the people who live off nothing but profit in one shape or another constitute an international class of parasites who share the need to preserve the system to which they owe their wealth even as the competition between them intensifies. Their system, which encompasses the globe, has been kept afloat by the creation of trillions of dollars of fictitious capital… but the crisis of fewer and fewer ‘investment opportunities’ for the similar pile of new capital amassed by the likes of Apple is only getting worse. In short, not for the first time in history, world capitalism is facing existential crisis. Profit rates and investment opportunities cannot revive unless there is a massive devaluation of capital. Restructuring, globalisation and the transfer of much of the world’s production to areas of cheap wage labour have not solved the problem. Wage workers the world over, whose labour beyond the value of their wages is the only source of new wealth, face the prospect of further ‘sacrifices’ as this crisis extends way beyond simple ‘bread and butter’ issues to the internecine struggle between the world’s powers to hold on to or increase their share in the global economic pie. We may live in a post-colonial world but sharpening imperialist conflict which endangers the lives and livelihoods of ‘ordinary people’ is a fact for anyone with eyes to see. World War One marked a turning point. Having encompassed the entire world and created the material foundations for human beings to live and work together in prosperity and harmony, capitalism and its drive for profit no longer serve any useful function for humanity. On the contrary, in a world carved up by imperialism, the inbuilt cyclical crisis of capitalism inevitably returns with greater intensity and plays out on all fronts: military, political as well as economic . This is where we are today. However, as we follow the centenary commemorations of that ‘great war’ we would do well to remember that history is written by the victor and in this case the victor was capitalism. We are now tracing 1915 but it is worth reminding ourselves that, despite the shock of the collapse of the Second International in 1914, on the ground in workplaces and working class communities there was still the backbone of a potentially mass socialist movement: workers who had believed that the working class response to the capitalists’ war would be the start of the struggle for socialism. Even as workers were enrolled en masse in the opposing capitalist armies a handful of revolutionary marxists, spearheaded by Lenin, began to work for the creation of a new, proletarian International. The starting point for this was the insight of the Communist Manifesto that “the workers have no fatherland” – especially now that capitalism had entered a new epoch of “imperialist convulsions” where the working class has no common cause with the bourgeoisie as it might have had in previous national wars against “absolutism and feudalism”. Nationalism is still a potent weapon used by the ruling class to blind workers the world over from seeing that they share the same interest – which is fundamentally to unify to get rid of the class system which exploits them. No matter that Gallipoli and the whole of the Dardanelles campaign was a complete failure which ended at the turn of the year with the ignominious evacuation of 105,000 troops; no matter that the hero of the British establishment, Winston Churchill [whose brainchild the venture is said to have been] was obliged to resign as ‘First Sea Lord’; indeed, no matter that between them Allied and Turkish ‘casualties’ amounted to more than half a million men, In each country Gallipoli has been turned into an icon of nationalism, of sacrifices made in the service of the current-day capitalist state. Yet, beyond the pantomime a more critical observer might ask young Australian and New Zealand workers today: what did they, who died in their thousands, have to gain from this campaign which marked the “coming of age of the nation”? What did it matter to those working class soldiers that in 1919 their loyalty to ‘the nation’ was rewarded by the Australian capitalist state being granted German New Guinea or New Zealand German Samoa. These are the tin-pot acquisitions of newly-arrived imperialist states which mean nothing to the working class who gained nothing; not even the communal right to shoot pigeons. Away from the Gallipolis, VE days, D-days and the celebration of both world wars as nationalist jamborees, the reality of 1915 was anything but glorious. Already millions of workers in uniform had lost their lives as they became cogs in the machine of industrial warfare in the service of capitalist land-grabbing and struggle for power. By June, on the trench-littered Western front alone the battles of Mons, Marne, Ypres had already brought a combined casualty list for the UK, France and Germany of nearly three and a half million: lives expendable in the service of capital. This was the war that Italian imperialism joined in May 1915, having hesitated as to which side could best serve its interests and fearful that the working class, whose struggle had reached insurrectionary proportions in 1914, would continue its anti-war stance and rise up again. Of all the belligerent states, the ruling class of the recently unified Italian state was the most divided and even after Italy joined the war a substantial section objected to the country’s involvement, notably the Catholic Church and Giolitti’s Liberals. Despite being a long-standing member of the Triple Alliance with Germany and Austria-Hungary the Italian Prime Minister, Antonio Salandra, pronounced the Austro-Hungarian ultimatum to Serbia an act of aggression and declared Italy free of its alliance obligations. Italy was now officially neutral, although as Bordiga points out, this did not stop it from sending an occupying force to Albania to take hold of territory promised by the terms of that treaty. Whilst it is true that it was harder to sell the idea of joining a war on the side of Austria to the general populace, especially in northern Italy, this was not the only reason for Salandra’s initial reticence about joining the war. Declaring neutrality bought time for Italian capital to decide where it had to gain most, to better prepare militarily, as well as work on what today would be called “hearts and minds”– i.e. preparing workers to accept that this was a war worth fighting. In the first year of war, both sides — the Central Powers and the Entente, as the British-French-Russian alliance was known — attempted to recruit neutral countries like Italy, Bulgaria, Romania and Greece, to join the war on their side. At the end of the day it was the prospect of gaining more territory and raising Italy’s status from a minor to a great power that led Salandra to sign the secret Treaty of London on 26 April 1915. The condition was that Italy must join in the fighting and declare war on Austria-Hungary within a month. Salandra kept to the condition and on 23 May war against Austria-Hungary was announced. (Although not for another year against Germany.) In fact the Entente would never have been able to carry out their side of this bargain amongst thieves since part of the gains promised to Italy depended on their victory on the Gallipoli peninsula. In any case at the end of the war the USA decided that Italy was getting too big for its boot and refused to let Italy have anything like the agreed share of the spoils. War it is. As we have predicted many times, we socialists are now facing a hypocritical appeal for national solidarity in the name of the country being in danger. However, we belong to those socialists whose internationalist convictions do not allow for patriotic illusions. So, even if we believed the appeal from our enemies of yesterday was honest and sincere; if we also thought the national government to be blameless for the war; even if we admitted the good faith and the impartiality of all those who advocate intervention; despite everything we would remain, in the name of our principles and our beliefs, resolute defenders of the class struggle which, by pitting the slaves against the oppression of the bosses is the only fruitful way to work towards a better future. But the appeal for national harmony makes us even more outraged at the whole system of lies, cowardice and oppression we see being used to create an artificial popular enthusiasm for the war. The proletarian demonstrations organised by our Party were violently suppressed while the field was left open for the interventionists to rail and shout. Meanwhile the bourgeoisie had all the big daily newspapers to magnify the students’ rallies and conceal and slander the workers' protests, even intercepting our only daily newspaper with its news of socialist rallies. And we are supposed to accept the invitation to join in singing the praises for the war for freedom and democracy? Are we supposed to show that we believe the official lies, based on rhetorical phrases, used to justify the intervention, when history shows us once again that the policy of the bourgeois states ­– and in particular the Italian State ­– is a tissue of hypocrisy and cynicism? Salandra’s declarations have moved us no more than did the pronouncements of the Kaiser’s government at the time. At least they had the merit of being more sincere. So Italy is taking to the field to defend the rights of the downtrodden? In that case you should have marched in August, when however you wanted to go to war on the Austro-German side. The Austrian ultimatum to Serbia was damaging Italian interests? But it was ten months later that you denounced the thirty year alliance. History will say that makes you accomplices of the German Empire. Why didn’t the Austrian annexation of Bosnia-Herzegovina awaken your protests? Maybe because you in your turn were engaged in Libyan banditry? Instead you wait to have a humiliated and weakened enemy in front of you before giving breath to the wind of rhetoric. And beyond the eastern border where there was non-Italian land, both in terms of language and race, the monarchy and the Italian State calculated the profit and loss and revealed their equal greed for territorial expansion, as with Valona and the Dodecanese islands, which were ceded to non-belligerent nations. It is not the principle of nationality you should be invoking, but the rule of might is right. Rather than referring to Garibaldi you should be recalling Ninco Nanco. But you can carry on peddling your pack of lies! We will never be your accomplices! It was inevitable. In the tragic unfolding of history which has taken us from neutrality to war, the pretext justifying the turn round has already been concocted. After doing everything they could to avoid war, the duty of socialists is now to "accept the fait accompli" and agree to rally alongside all the national parties for the victory of Italian weaponry! Let's start by saying that those ­– we hope they will remain a very few – who have now leapt in such a hurry to the other side, without even waiting for the real war to begin, are the lukewarm neutrals who have not done their duty and who have always nurtured a secret, but transparent, nostalgia for the convenient anti-socialist ideologies of the warmongers. And for now we leave aside names and facts. Instead, let’s discuss this ambiguous and hypocritical line of reasoning about accomplished fact which, if accepted, would dishonour the Socialist Party and would put us in the position of having to recognise as just and deserved all the statements of Mussolini and his comrades about our irresponsibility and our cowardice. After witnessing, along with the willingness of the bourgeois world, the astonishing subjugation of the socialists in the leading states of Europe to the cause of the war, the Italian Socialist Party proclaimed that the International was not yet dead, and it was against Italy’s intervention in the conflict on the side of either group of belligerents. It was said that we were spreading propaganda of cowardice, inertia, absenting ourselves from the decisive historical tragedy. We were denounced as accomplices of the Catholics, supporters of Austria, and lately of Giolitti and von Bülow. We answered our critics, who were more or less kept going by the Consulates of the Entente, that the war had not destroyed socialism, but rather confirmed the need for its own historic action to follow by way of the class struggle, rather than wiping it out it and erasing its very meaning by patriotic solidarity with the State and the bourgeoisie. We said that our campaign for neutrality was motivated by reasons of principle and class interests which differed significantly from bourgeois neutrality and its murky background. Many of us – young people admittedly – who fought against the arguments for intervention perhaps erred in giving first place to contingent and national considerations which, purely accidentally could be shared by our enemies; but all of us proclaimed that our Party, through its anti-war propaganda, and by defending its class independence from all bribery and enticement, and from every attack, aimed at the high historical task of redeeming the dignity of socialism and preparing the ground for the new proletarian International, a task much bigger – and more real – than those who acted in the shadow of the national flag and in league with the sad Pharisees of trade-off patriotism. So, has our clear and secure course of action perhaps been broken today in limine belli [Lat. on the outbreak of war], on the threshold of bourgeois war? No. For us, national reasons – the bourgeois motivations for neutrality – were secondary. 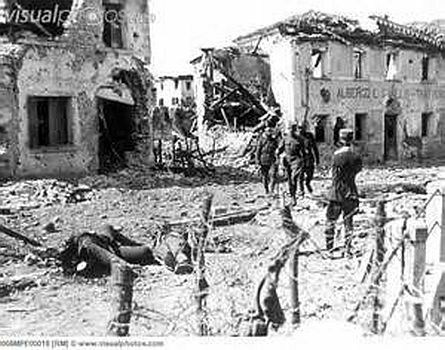 The fact is that they fall on deaf ears, because the die is cast and the only concern remaining for the Italian state is an Italian victory against the enemy, which in turn is threatening with arms. Now the dangerous trap into which those socialists who proclaimed an indisputable duty to defend the homeland have fallen is vividly clear. Isn’t Italy today, despite having taken the initiative in a war that was not inevitable, in a position of national defence? Undoubtedly yes: from the moment its leaders threw her into the fire from which they now invite us to drag her out. But we vigorously separate ourselves from responsibility for the insane militarist policy. It would be illogical and stupid to make ourselves prisoners of the aims of our eternal enemies; to make use of the privileges we have always fought against and despise the opinion of the working classes we represent. It really would be absurd to surrender to the crime that has been committed even as we object to the cold premeditation of the decision. It would turn us into accomplices in carrying it out, and would mean admitting that we are in solidarity with all the wars of the bourgeoisie after a period of Platonic propaganda for peace. It would mean the war cries of the bourgeoisie had made us ape the blatant patriotic somersault of those who opposed the war for the most reprehensible reasons only to rejoice now that it has been proclaimed. Even the socialists of other countries – those we have been criticising and condemning for so long – separated their responsibilities and did their duty ... until the war. And if we know nothing more than them, having had time to study the causes that led them into error, we'll be covered in ridicule and ignominy. We cannot avoid the war. We should therefore endure it and link up with its supporters! So say those who see the war as involving a coincidence of interests of all social classes. Admittedly there is an unavoidable coincidence in avoiding the worst defeat; but is there, under the banner of a truce between parties, an equal distribution of sacrifices and ultimate benefits? NEVER. The struggle of the bourgeoisie against the proletariat not only is not suspended, but intensifies and reaches new heights, as economic exploitation continues and culminates with workers being told to sacrifice their blood in the name of their country. Meanwhile, however, the capitalists do not sacrifice the fruit of their own speculations. They call for an end to civil strife, demanding that workers give up defending themselves against a system of oppression which its beneficiaries are loath to constrain. And how can anyone who sees the justice of the proletariat protesting against poverty and hunger dare to stifle his indignation when the worker’s life is at stake? It is an attack that we could not prevent, just as we cannot prevent capitalist exploitation until the proletariat is stronger. But all this does not make us desist from our unshakeable aversion to the present world and the sad reality which allows the existence of economic servitude and the most infamous military servitude to the detriment of the vast majority of men. Those who today see nothing but the common denominator of patriotism, and therefore silence their opposition, are the losers. It would be better for them if they passed over to honestly professed interventionism. Yielding as they do today, under the impetus of the tide of war, they show the uncertainty and inconsistency of their thinking and the elasticity of their conscience. Today neutralism, this unfortunate word, which has brought us so many calumnies, is dead. And it’s just as well because it's time to expose the injustice of the defamations we underwent. Today, magnificently alone against the entire bourgeoisie of each party, we can and must show that anti-militarism and internationalism are not empty concepts and are not a screen for lily-livered pusillanimity. Once again, oh intrepid servants of the fait accompli, who would like us to lick the hand that has floored but not broken us, the two opposing ways are drawn clearly and precisely. Either outside or inside preconceived national and patriotic scruples. Either towards a pseudo-nationalist socialism or towards a new International. Now that the war is a 'fait accompli' the position of those whose opposition to the war did not hide a miserable duplicity can only be: against the war, for anti-militarism and international socialism! £35 million refurbishment of the WW1 galleries at IWM London .. A £5.3 million education programme, which will allow pupils and teachers from every maintained secondary school in England the chance to go on a tour of the great battlefields. At least £15 million from the Heritage Lottery Fund, including a new £6 million community projects fund to enable young people working in their communities to conserve, explore and share local heritage of the First World War. A grant of up to £1million from the National Heritage Memorial Fund to support HMS Caroline, the last surviving warship from the First World War fleet. According to spartacus-educational.com, “480,000 Allied troops took part in the Gallipoli campaign. The British had 205,000 casualties (43,000 killed). There were more than 33,600 ANZAC losses (over one-third killed) and 47,000 French casualties (5,000 killed). Turkish casualties are estimated at 250,000 (65,000 killed).” The word ‘casualties’ is the camouflage – it usually means death other than in direct military action but can also include those seriously wounded as to be out of action. It is estimated that disease was responsible for well over 60 per cent of deaths on the Gallipoli peninsula. Article 2 of The Decree Abolishing the Feudal System, France August 11, 1789. Austria, which had fought to prevent Italian unification and which still claimed sovereignty over largely Italian-speaking areas of the Tyrol and Trieste, was regarded as the traditional enemy. The details of this were not made public until 1917 when the Bolsheviks revealed to the world the details of the real war aims of the competing powers. As well as promising Italy control over territory on its border with Austria-Hungary stretching from Trentino through the South Tyrol to Trieste the Treaty of London promised parts of Dalmatia and numerous islands along Austria-Hungary's Adriatic coast; the Albanian port city of Vlore (Italian: Valona) alongside a central protectorate in Albania; as well as more territory from the Ottoman Empire. The Bosnian crisis of 1908–09, one of the squabbles between the Great Powers prior to the first world war. Sparked off when Austria-Hungary unilaterally announced the annexation of Bosnia and Herzegovina from the crumbling Ottoman Empire, the dispute was patched up in April 1909 by an amendment to the Treaty of Berlin reflecting the fait accompli and drawing this particular crisis to an end. The allusion to Libyan banditry is a reminder of Italian diplomats’ consistent efforts to secure agreement by all the major powers to Italy’s ‘right’ to control Libya well before the Italo-Turkish War of 1911 to 1912 when Italy duly seized the colonies of Cyrenaica and Tripolitania from the Ottoman Empire. In 1909 the agreement of Russia, was the last of the great powers to be secured. The Italian version of Vlorë where Albania declared independence from the Ottoman Empire on November 28, 1912, during the First Balkan War. The city became Albania's first capital following independence, but was brought under Italian occupation almost exactly two years later (29 November 1914) when the Bay of Vlorë was invaded by an Italian naval force under the pretext of protecting Albanian territories from Greek invasion. Ninco Nanco: a brigand leader in nineteenth century Basilicata, southern Italy. Renowned for his brutality and violence but often romanticised in popular imagination and song as a sort of good-hearted outlaw.